A few lines about what goes on and what is about to come. Time is running fast and the information is split into various media and sites. This makes understanding difficult for everyone who is not constantly monitoring what I do. Monthly you find a short story I publish in rez Magazine, now for over five years. That’s the tip I like you to give first. REINER points to ERVARE [dot com]. There is also ERVA. [dot]RE, there is Art. [dot]Blue, there is Kunst [dot blue] and ArtXploder [dot com]. Not always I keep the borders or the boxes I created for them straight. I will tell you a bit right now. 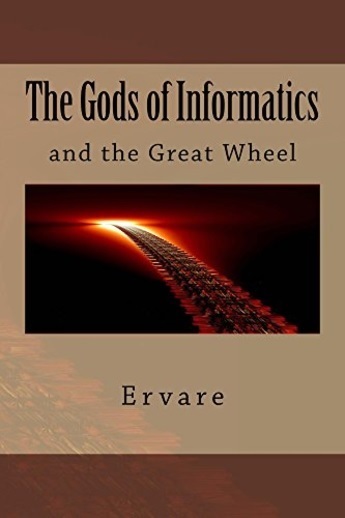 Ervare is the pen name for my memoirs: The Gods of Informatics, published on Amazon. In this book, I show my past and my future. I am futurologist with roots in informatics, art, social science and … in theology [I shall better say in believe systems]. So I know the future. It is all in the Singularity to come. I created the term Politikinformatik [Informatics and Politics] over 30 years ago. I created Religionsinformatik [Informatic and Religion]. I created Kunstinformatik [Art and Informatics]. For this all stands the Gods of Informatics. To use my earth-bound real name would not fit, as our world is a computer and my mission is “To bring brains to the depth, forever.” A cryptic saying but outlined in the book why there is depth in it. I think, therefore I am. In modern terms: Click and buy. ERVA.RE stands for my very old past where I was in old Egypt a builder for the Pharaoh Amasis. Of course, I am teasing you. How I shall know my past for sure? Have I done a spiritual regression? Seen my life between lives? [Michael Newton]. I have. That’s why I wrote A History of the White under this pen name. It is a blank book, a journal, published on Amazon. The interesting part is that I need to create a hoax hack [a backdoor] to make this possible. More than three consecutively blank pages are not allowed in a book published at Amazon. Such a restriction to overcome can only Gods, right? A funny to read story, first published in rez Magazine February and March 2019. A History of the White exists in two versions: The empty book, the journal where you find just blank pages you may fill and the second version which is dedicated to Wittgenstein. I wanted to do so when I joined the Wittgenstein Society. This version, called Wittgenstein.space has links to picture related to art and philosophy. I used the Black Out technique, which is a transformative art form with an old tradition [cut out poem, black out poem] and called it Blank out poem. The pictures are not all created … but the links are and working. 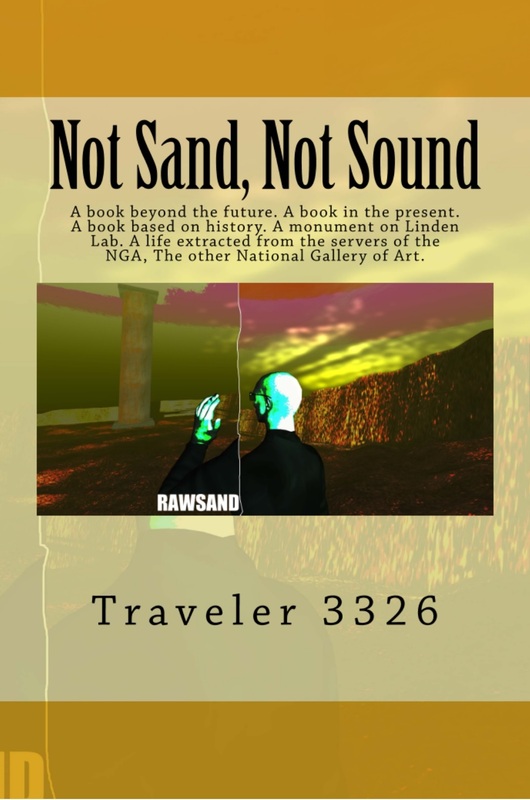 The Sand Bible, sometimes called the New Sand Bible I brought to Earth via Traveler 3326, the historian you may know from Netflix, The Travelers. In this book, I reflect on stuff I had in mind when writing my memoirs but then I thought the book would get a wrong drift when I mix my projections too strongly with Orwell’s BBIWY of 1984. Not Sand, Not Sound is the title. The title says it all. Read the pages that come as a preview on Amazon to see if you like it. There are some chapters republished on the web. I recommend the one where I tricked the Vatican AI an OMIVAC 9000: Quantum ad Absurdum. The catalog of 1Biennale you find more on it at 1Biennale.org. I created in total three books. The second is a small booklet #IMMERSIVIA Santorini Biennale with a nice sleeve, also on blurb, sadly it has only 36 pages, but blurb provides a great online preview, both for the collector’s item and for this special Immersiva edition. The third book started as an experiment and went to a challenge. The title is THE BRAIN OF ART. It is a novel of an alien on a mission to save the immersive art on Earth that was made for 1Biennale and presented at the IMMERSIVIA 2018 in Santorini. The protagonist is B DOT BLUE. Read the free pages on Amazon. There you find all about it. The costs are about 12 Euro / USD. Every contributor to the 1Biennale is mentioned inside. You can read the story also on Kindle.